The Dot Line H.D. 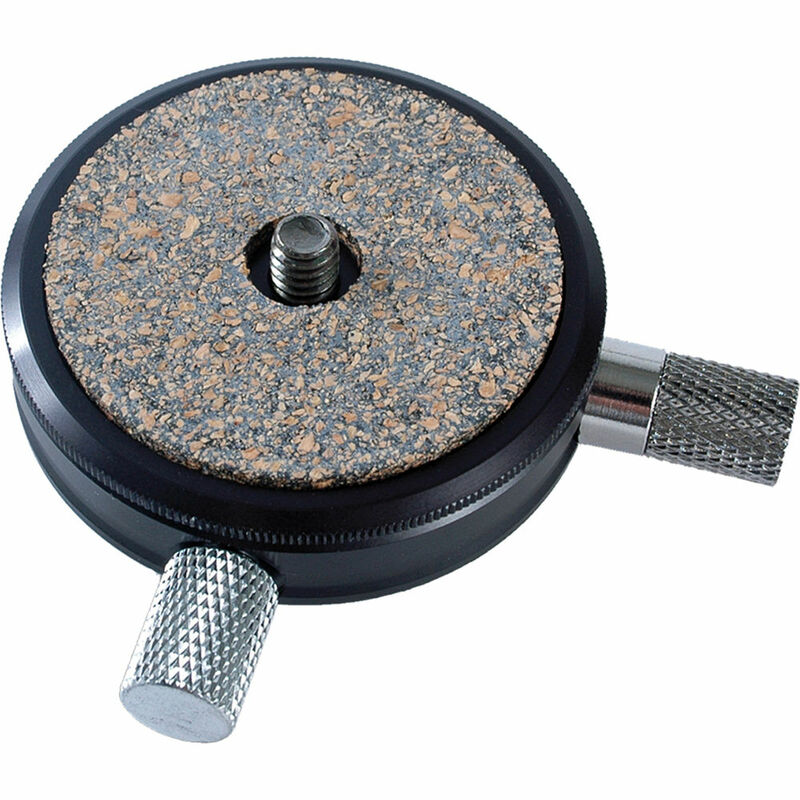 Tripod Quick Release features a 2” diameter base that can be rotated 360° with a cork pad for the camera to rest upon. The quick release mechanism can be activated with a simple pull of the longer knurled knob and can be locked in place with the short knurled knob. The base will accept either a 3/8” or 1/4"-20 threaded male post. Box Dimensions (LxWxH) 5.6 x 3.4 x 1.1"